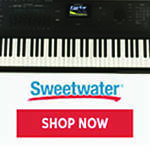 Register Log In Piano World Home Page Forums Digital Pianos - Electronic Pianos - Synths & Keyboards Yamaha P70, whats the value of it now? i've been a piano player for about 12 years before i moved to NYC and with no space i didnt bring my piano with me. a few years later i miss the art of music and i would like to get a real portable piano to play. someone offered to sell me a yamaha p70 with a double X stand for about $300, is this a good price? any info would be appreciated. While I was waiting for my CP5 to arrive and since I had already sold my CP300 and had no keyboard to use on jobs, I borrowed my bass player's P80 which is a newer version of what you are looking at. I was not happy with the piano sound at all even though I ran it through an excellent sound system. I'm guessing that Yamaha P70 is at least 10 years old. Piano sampling techniques have improved a lot over the years and for not much more money you could buy something a lot better. On the other hand, if you've played the P70 and am happy with it who am I to tell you what you like. I would go to your local music store and test drive a few newer models and continue your search for a second hand keyboard. the P60 came out in 2002..
is the p70 for $300 with stand a good deal? fusiondreams, I think all the information so far provided comes under the any info would be appreciated heading. 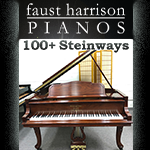 If you've tried a lot of newer pianos in the stores but insist on buying this P70, go for it. Maybe you could get another $50 off the price, who knows. I'm curious, how much research have you done? How many music stores have you visited? 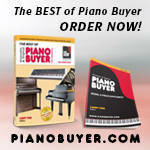 If you want to know the value of a piano, start with EBay or Craig's List. I just went to Ebay and found a mint condition (if you believe what you read) P70 for $160. The P-70 is the direct progenitor of the P-85 and not much different. The P-85 has dedicated buttons for selecting voices, whereas on the P-70 you select patches by holding down a function key and pressing a piano key at the same time. If you can live with that, the P-70 is probably not a bad deal at $300. AFAIK, the main piano sound and action (GHS) are the same as on the later P-85 and P-95. 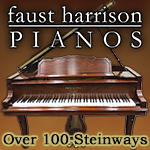 The P-60 and P-80 are much older models and use different actions (GH) and piano sounds. They are not directly related to the P-70/85/95 product line, despite the overlap in model numbers. the ebay auction has 4 days left, which will end up much higher than $150. thanks for the info martin, i just need a cheap but reliable piano to practice chopin and such. i do recall testing the piano before, i remember it did well enough for the money, and i am not really looking to spend more than $500. i do appreciate your info as well dave. With a price of $300 for the piano and a double X-stand there is not much room to lower the price. Maybe $250 would be a more fair price but that's only a $50 difference, the price of a tank of gas today. The big decision to make is if you want a P70. For $500 you could buy a new digital piano. The P70 is old and the sound will not be up to today's standards. But for that little money you'd have a DP and you could learn about them and later upgrade to a newer piano later. But for that little money you'd have a DP and you could learn about them and later upgrade to a newer piano later. ...or just keep the P-70 and get Pianoteq Play. The 88-key Casio CDP-100 Digital Piano gives you plenty of grand piano sound and feel, thanks to its carefully sampled grand piano sound and scaled hammer action. With the Casio HL Sound Source and naturally scaled hammer action—with 3 levels of touch sensitivity—you get a realistic and satisfying piano experience in a portable, affordable digital keyboard. The Casio CDP-100 offers 5 sounds (including stereo grand piano) with 32-note polyphony, 8 digital effects, 5 demo songs, layer and transpose functions0, a speaker system, MIDI I/O, plus headphone and sustain pedal jacks. Casio includes a sustain pedal with the CDP-100 digital piano keyboard. If you've played for 12 years I think the touch of the P70 will be noticeably different than what you might expect. It has what is called GHS keyboard. I suggest looking at something used that has either a GH or GHE keyboard, which are a little better in terms of how they feel. For example both P80, P90 and P120 have the better keyboard. To answer your question, $300 is a reasonable price if it's in good shape. The other thing to think about is that age has some effect on DPs, either in terms of mechanical wear or failure of electronic components. I paid $350 used for my P90, which is newer than the P70, and I got a case with it. As I mentioned in another thread, graded hammers, GHS, merely mean that some keys are even lighter than the rest. In general, most digital keyboard actions are lighter than their acoustic counterpart; a graded hammer is more of a selling hype since the keys in the overwhelming number of digitals are already lighter than acoustic actions. This graded hammer keyboard mimics the fact that acoustic pianos have lighter keys at the higher end of the keyboard. Selling hype for me, bragging point for others.